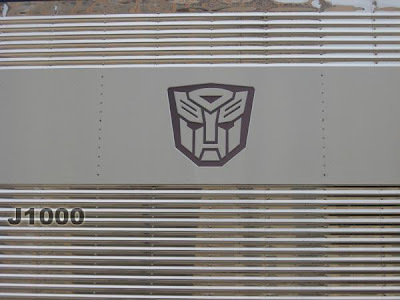 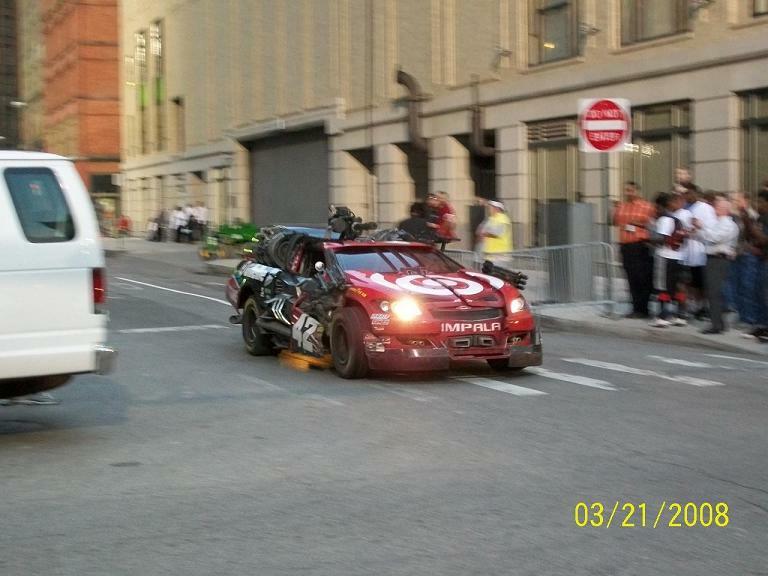 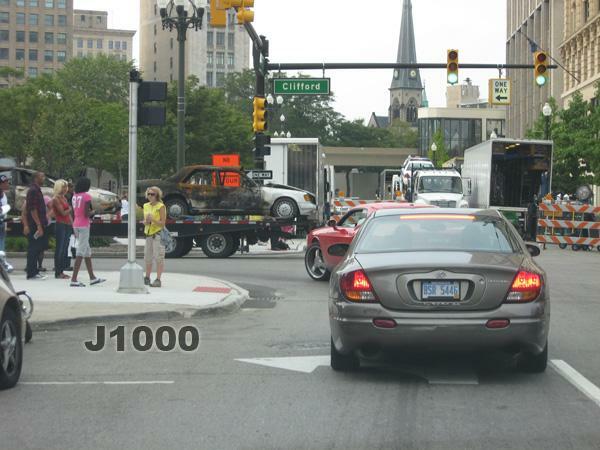 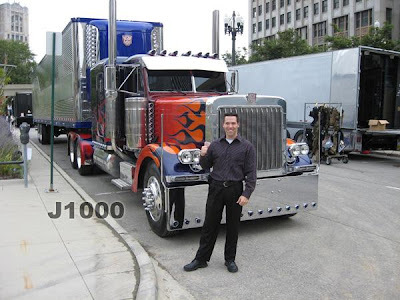 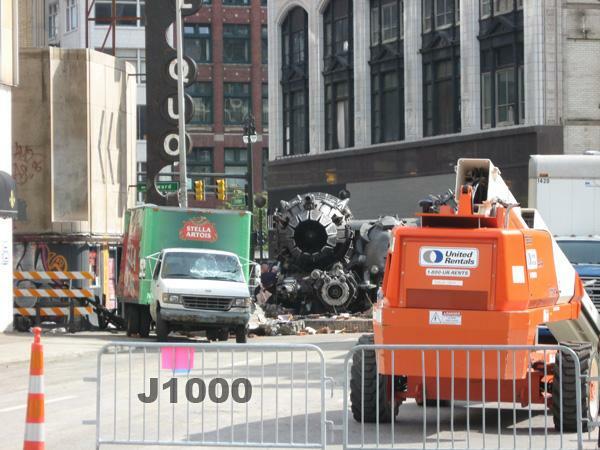 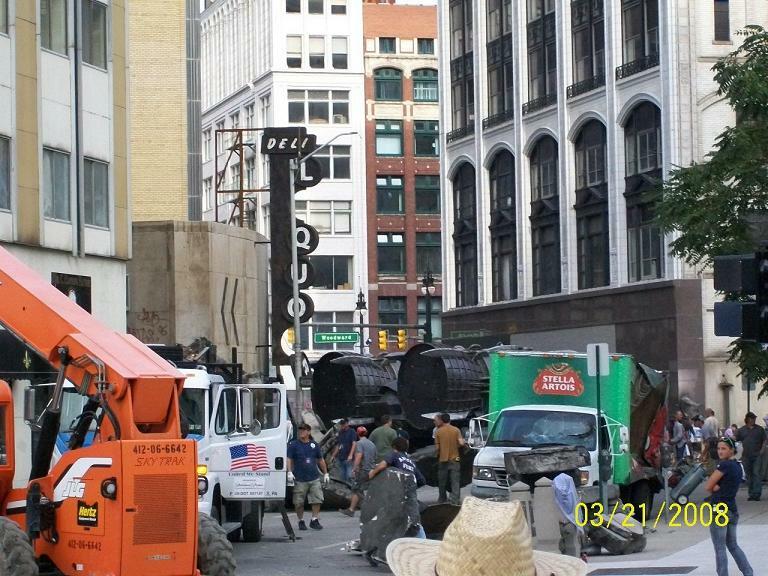 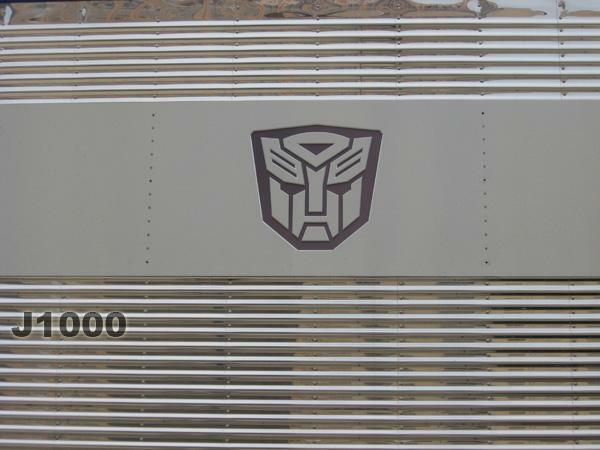 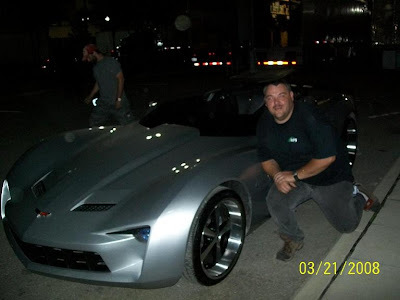 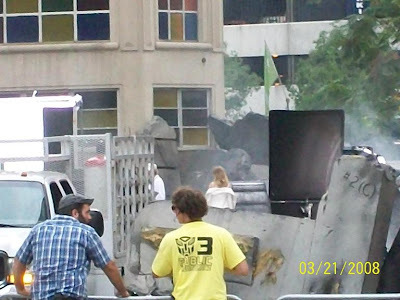 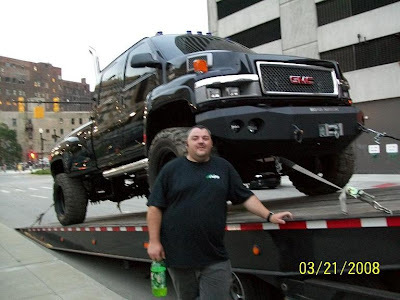 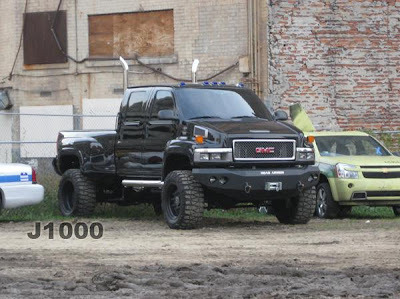 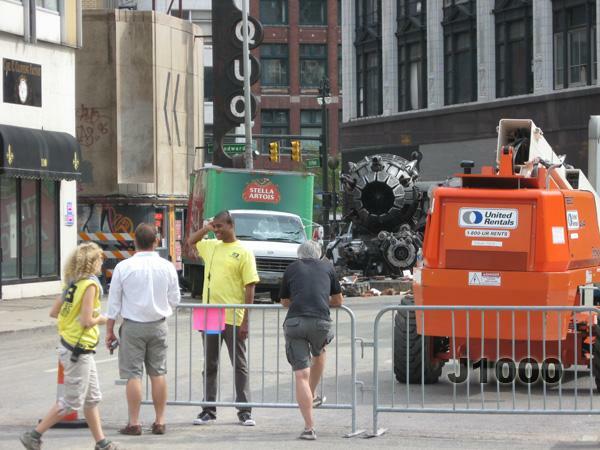 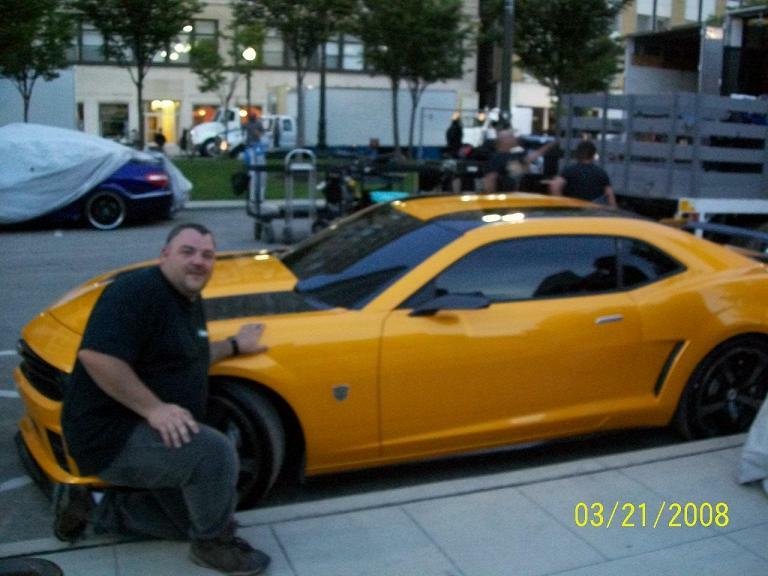 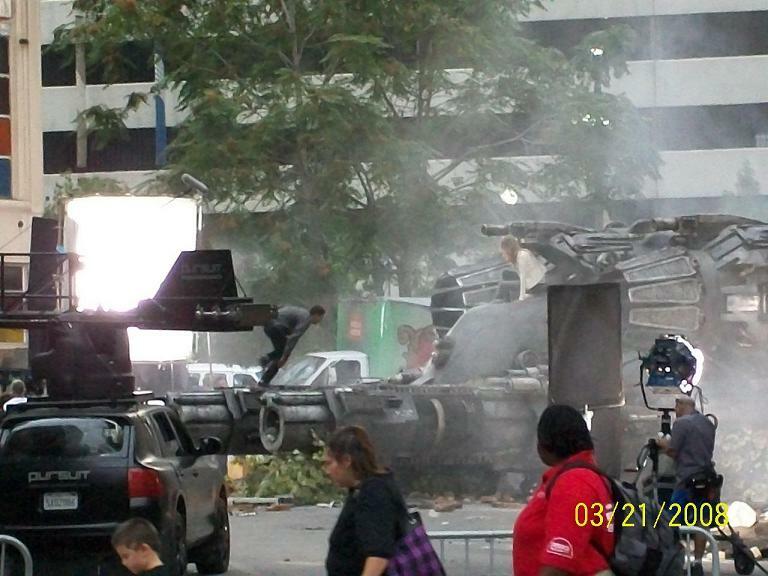 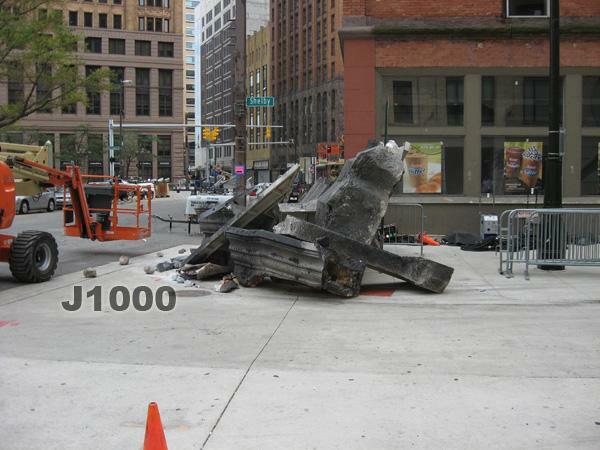 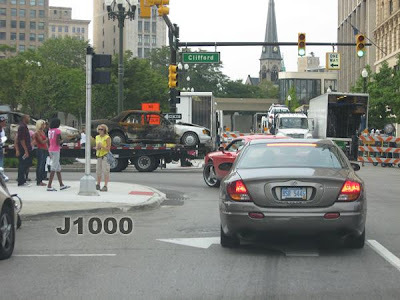 The area around the Farwell Building in Detroit and the Clifford and Woodward area was invaded today by Transformers 3 production. 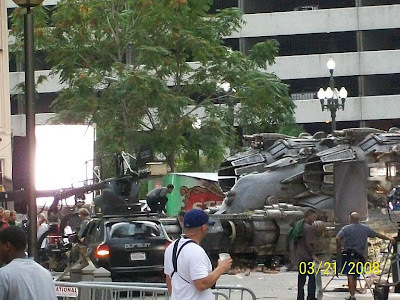 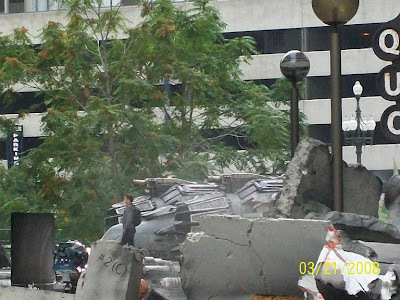 Most of the Autobot vehicles showed up along with the gigantic gun/jet prop, and the cast. 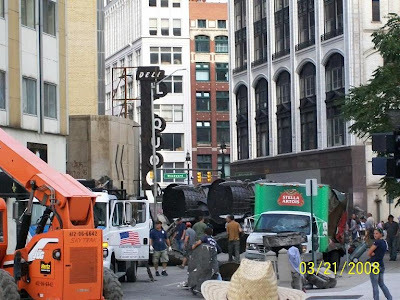 Part of the filming appears to be a continuation of the scene from last week with Shia and Rosie on the prop sharing a hug then later that night which brought some more Bayhem boom to the set (video below). Thanks to J1000 and Surge29 we have two galleries of pictures and videos to enjoy from the day. 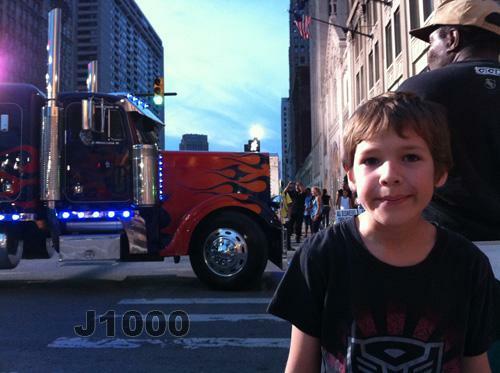 The set report, first set of pics and last videos are from J1000. The second set of pics and 1st video is from Surge29. 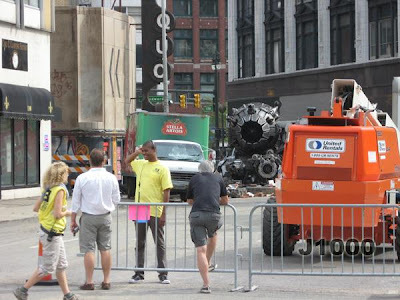 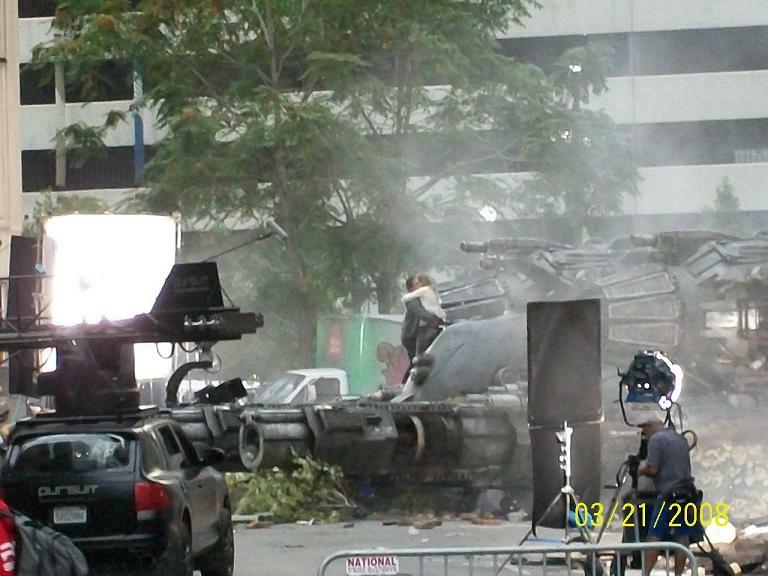 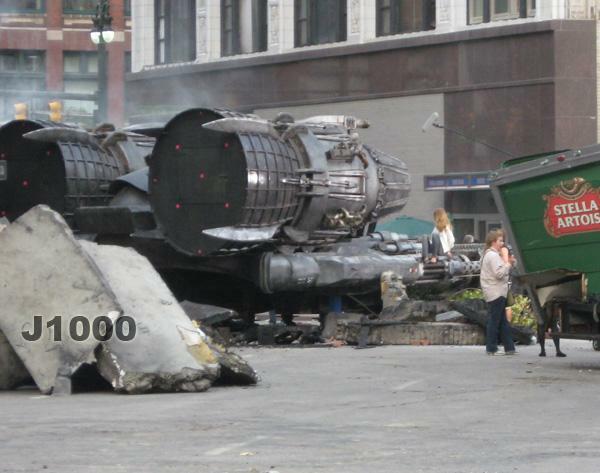 Lots of great stuff going on today; Shia and Rosie were filming on the TF Jet prop (which now appears to definitely not be an "arm" or anything like that, as it was sitting street-level as they climbed on and off of it in front of the deli/liquor store set on Clifford. 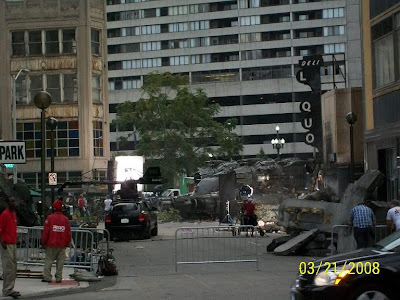 They were also shooting at the Farwell building with probably close to 100 (maybe more) extras running to the center of the intersection, as they were preparing to blow out a store front there. 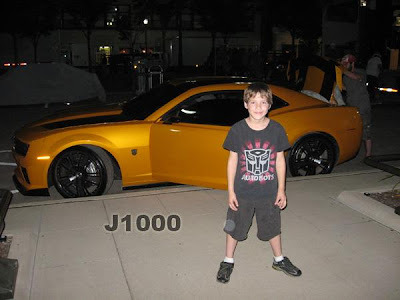 Towards the end of the evening, as the guys that haul the Autobots around were packing them up for the night, they were very cool and gave me a chance to get some pics of my son with Bumblebee and Sideswipe; then, one of the guys gave my son a NEST logo sticker that they actually us on the vehicles! 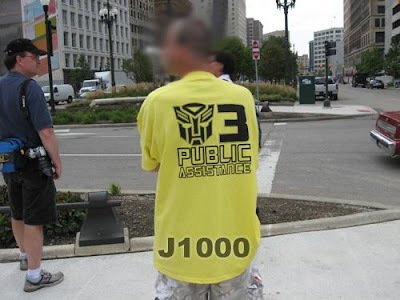 What a cool souvenir! 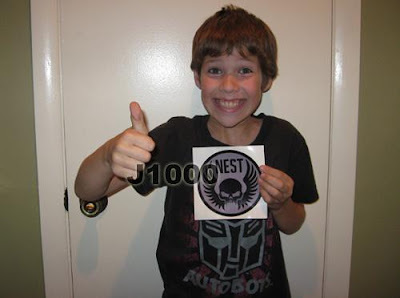 As you can see in the pic, he's super excited about that! 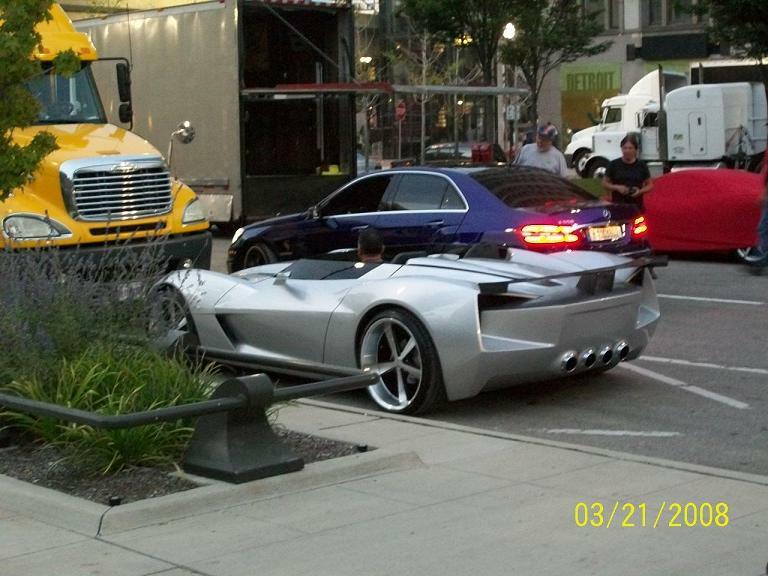 I also noticed the classic silver Mercedes in the hauler that has been seen on other sets. 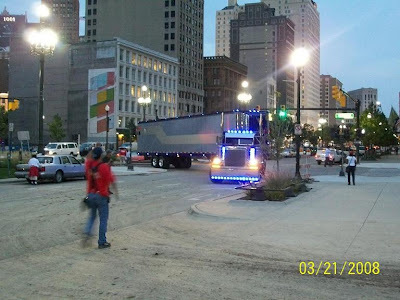 I had my wife and kids with me, and we even got a mention in the local paper (Detroit Free Press), who was there covering some of the goings-on. 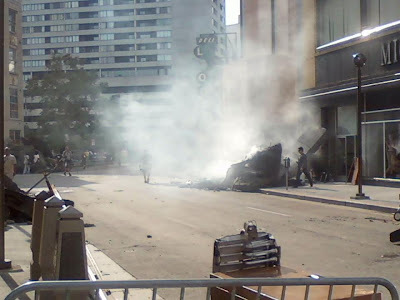 @Bananadoc - I'm wondering the same, would be nice to get a heads-up when they're actually filming. 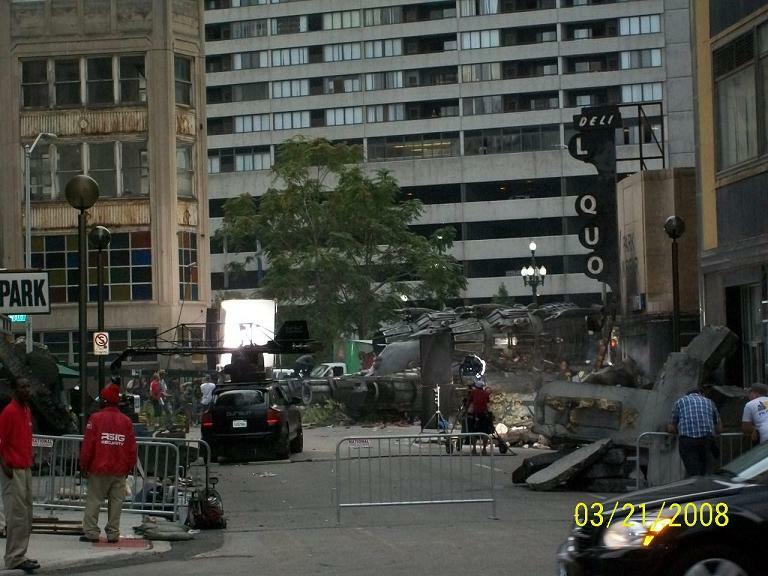 I drove past this morning and they did seem to have the scene/sets still set up. 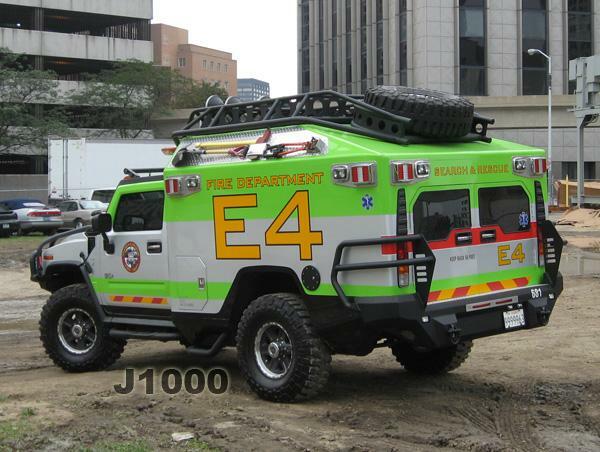 Chilly3210-Has anyone seen the FireTruck lately in any of these or earlier photos? 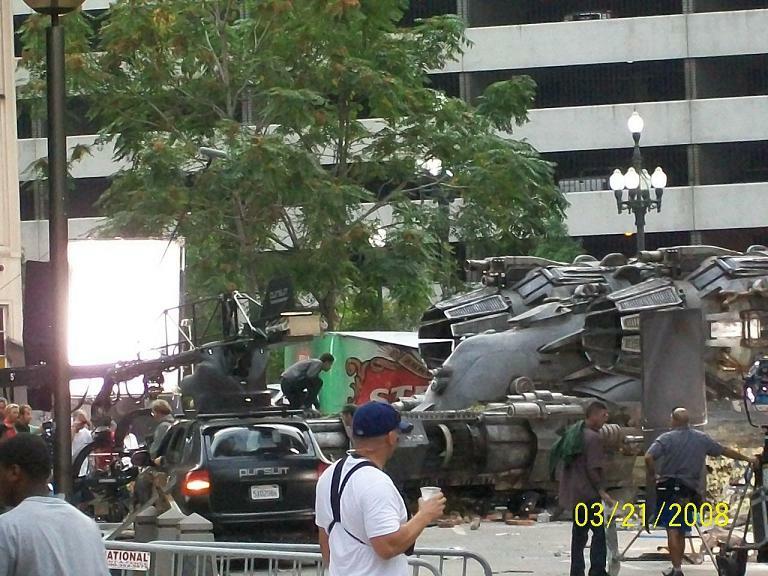 I'm getting very curious now what that Jet prop is supposed to be, if they are shooting it sitting on the ground. At the moment I'm guessing it's something that Prime is transporting in his trailer. But on the other hand, in pics from last week Sam and Carly stept on it from a building, maybe it's a big Autobot that fell down. 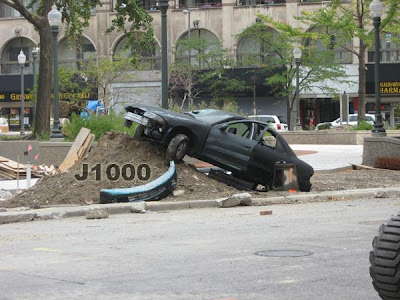 DAMN YOU!!!! 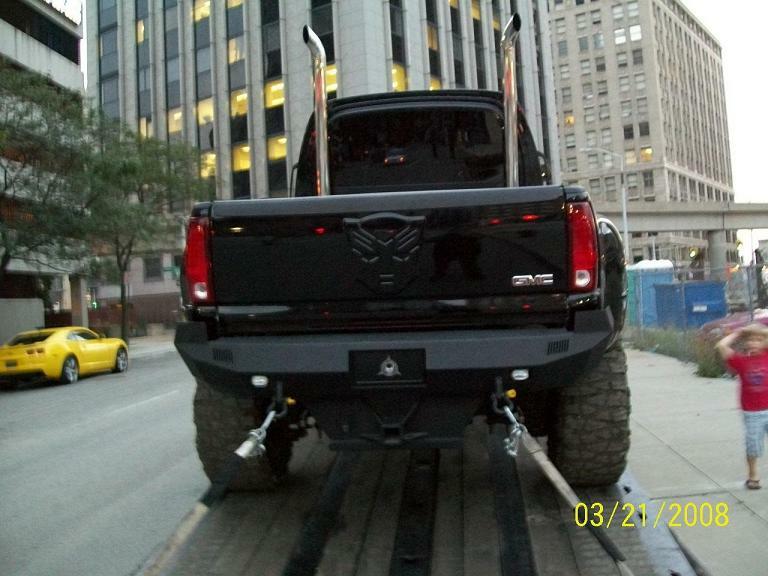 i'm sooo jealous!!! 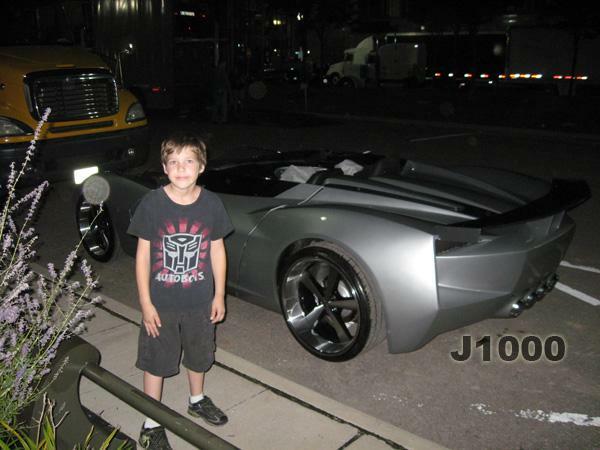 i hope you guys had fun :) seriously jealous overhere! 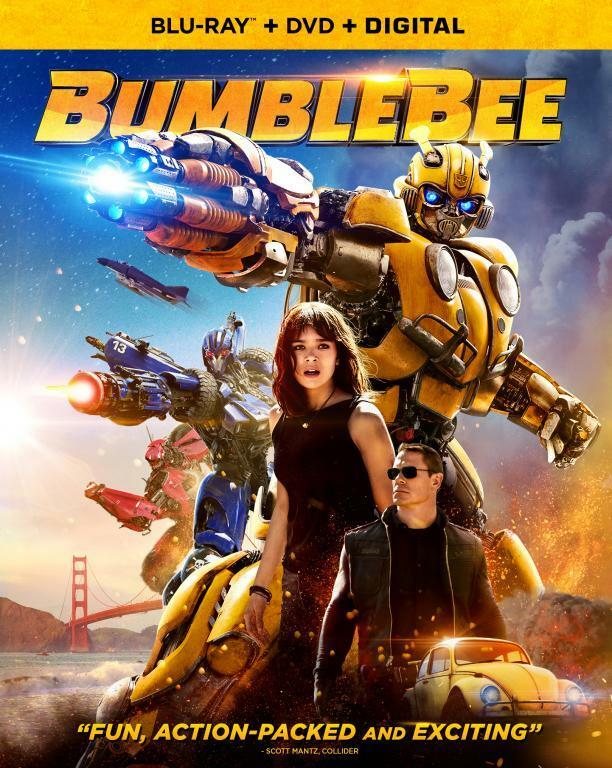 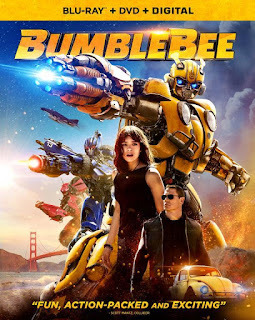 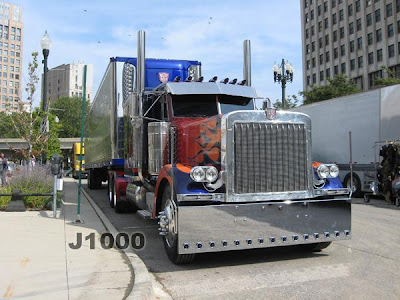 Alot of people take pics of the cars----Its nice to see how pple "see these cars as if they are really autobots"......like "oooo there goes optimus"